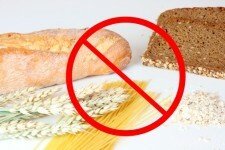 A small number of Americans perhaps one in fourteen have celiac disease or gluten sensitivity. In the case of celiac disease, the only way to manage the condition is to consume a gluten-free diet. However, the gluten-free craze is going strong and misconceptions that a gluten-free diet is healthier or will result in weight loss are running rampant according to a new survey released by Consumer Reports. Researchers surveyed 1000 individuals and found that 63 percent thought going gluten-free would improve physical or mental well-being through help with digestion, weight loss, cholesterol and the immune system. And a third of those surveyed reported that they buy gluten-free products for those reasons, not for valid health concerns. Well, that 33 percent may be surprised to learn that the gluten-free diet is not all it s cracked up to be in the media. Cutting out gluten can actually result in a loss of valuable nutrients according to Dr. Alessio Fasano, director of the Center for Celiac Research at Massachusetts General Hospital in Boston. Furthermore, there is a misconception that gluten-free products have lower calorie counts. The truth is that many gluten-free products are actually more calorie dense as the gluten is replaced with additional calories and fat. And although 25 percent of those individuals surveyed believe that gluten-free products have more vitamins and minerals, that is also completely untrue. ACSH s Ariel Savransky says, As we ve said many times before, the fact is that unless someone has a medical condition requiring them to consume a gluten-free diet, there is no proven health benefit to going gluten-free. The bottom line is that everyone should strive to consume a well-balanced diet that includes fruits, vegetables and whole grains for optimal health instead of trying to cut out those products containing gluten unnecessarily. ACSH s resident cynic, Dr. Josh Bloom says, This will go away before long and another marketing opportunity based on misplaced fears will replace it. And that too, will disappear in due time. I very much look forward to plutonium-free yogurt.